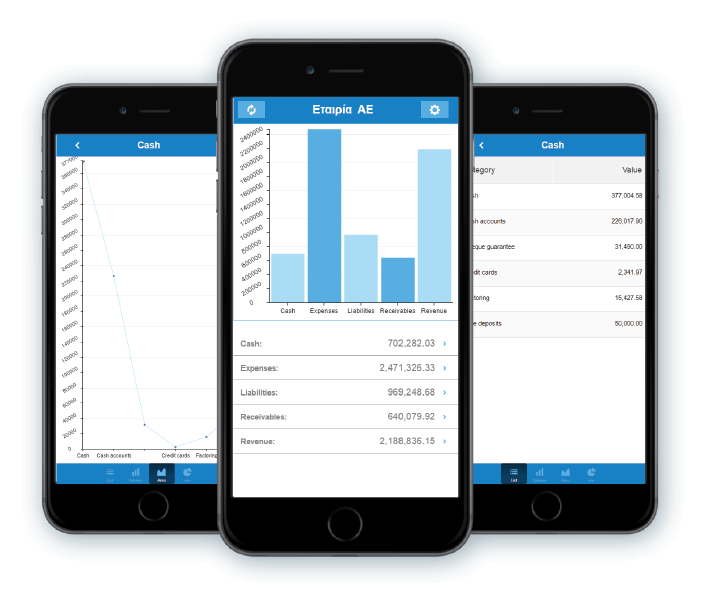 Soft1 MyPortal is a mobile application that offers the ability to view the active data gadgets, designed in the Soft1 ERP main system. 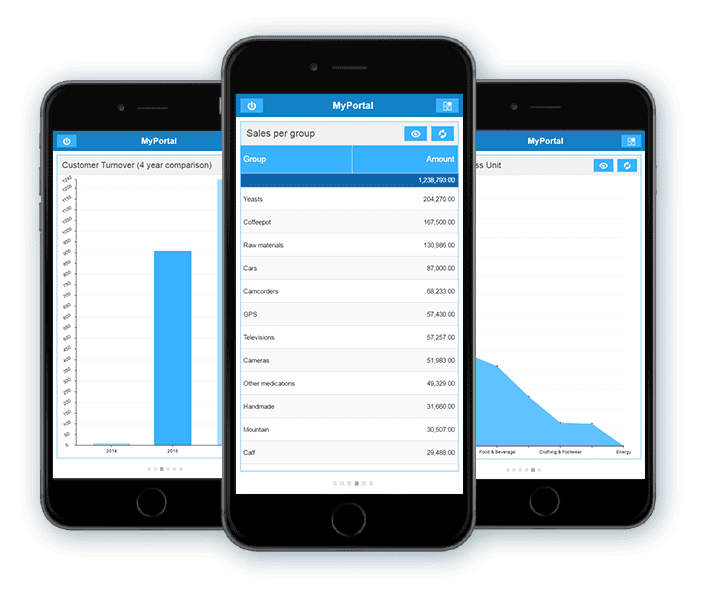 Users can have real-time information on special matters of interest, such as pending customer issues, incoming mails, sales value per category item and period, top-10 selling product items or customers, etc.). Browsing the data gadgets, is extremely easy and data is portrayed in the form of a table or a graphical representation.